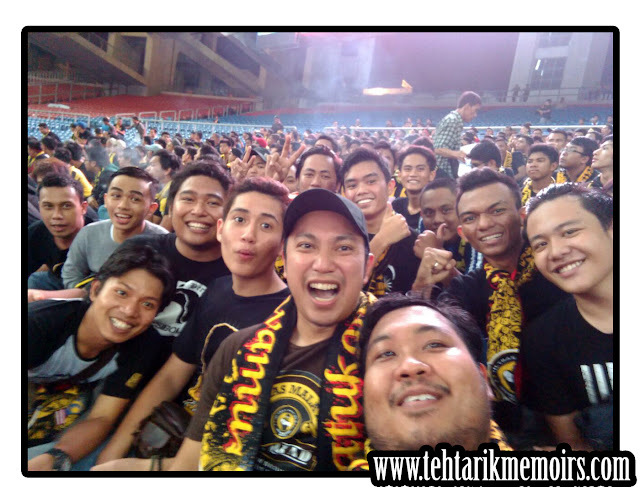 This may be a slightly emotional post, but from the perspective of a Harimau Malaya supporter, I believe this must be said. Last night we opened our World Cup 2018 Qualifying campaign against Timor Leste, a team which was once the "whipping boys" of ASEAN. 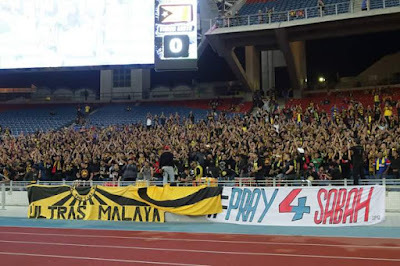 Naturally, Ash and I took our place among the stands with the Ultras Malaya boys and we were dead set to be with the boys to chant our lungs out for our team as we always do. A brief summary of the game, national coach Dollah "Pablo" Salleh fielded his strongest team for this competition, with the regulars Amri and Safee leading the attacking at the front. The midfield line was held by the regulars like Indra Putra and Safiq "Copot" Rahim but the interest addition was the lanky Junior Eldstal and Sarawak's talisman Joseph Kalang Tie. The backline was held by the regulars Muslim, Fadhli, Zubir and the speedy Kunalan. Surprise factor was to see Khairul "Apek" Fahmi between the post rather than Farizal Marlias. While we enjoyed majority of the possession during the game, our biggest downfall was the lack of edge needed for the finish at the front of the goal. Despite the goal from Safee, he was hardly seen contributing to much of the attacking in the front. Amri was again wasting dead easy chances in front of goal and we witnessed plenty of unnecessary individual play which resulted to mediocre results. In the end, 2 minutes into extra time, our own lack of concentration and focus resulted into the goal that basically shaped the all so familiar figure after every Malaysia game. A picture of disappointment and defeat. This has now become a staple scene every time each and every one of the Ultras that comes down to the Curva to give everything we have to support our national team. While Ash and myself make the effort to make our presence heard at the game, many take a lot more effort to actually get here, to the point that some borrowed money to get the tickets, taking flights just to make sure that they don't miss the game, and some even leaving behind their families just so that they can be there to cheer for the team. And for all of that, I feel that it is unfair that all we get in return is the continuous decline of our national team, with no solution in sight. What makes it worse is that we all know that the National team does not lack talent, with the likes of Indra and Safiq that have shown what they can really do on the pitch and the tenacity of the "Safee Special" that is known not only in our country but by most in ASEAN. So the question is, what the hell happened to us? If we even struggle to beat even minnows like Timor Leste (who not long ago got the trashing of a lifetime from us), why have we now come to this? Quite frankly its not that hard to see that FAM has now lost the plot and if there is anything that we can take from this scenario, this should be the kick in the behind that FAM needs to see the atrocity that they have created from their own lack of effort and dismal attitude in developing the game. 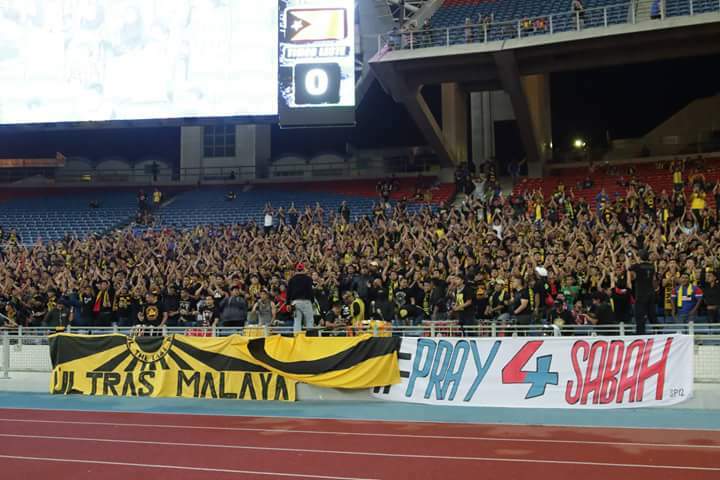 These are dark times for Malaysian football and our national team but you can count on the boys of Ultras Malaya to still believe that we can get something out of this. 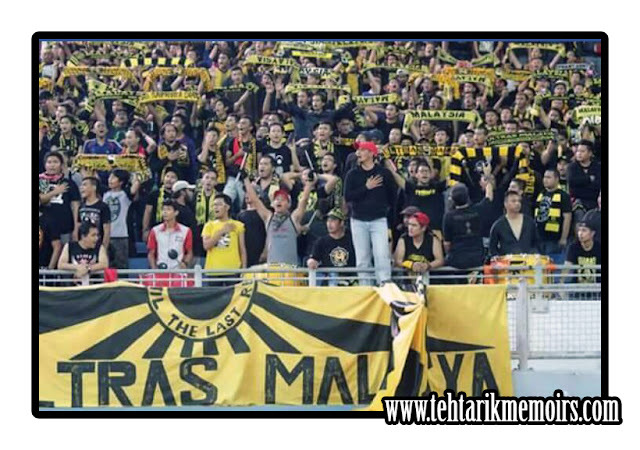 Ash and I have been given the privilege to be part of the front liners of Ultras Malaya and still believe that we can take ourselves out of this rut and obtain glory as we once have in the past, despite the disappointment and the bitter pill we have to swallow everytime we sing "Warisan" at the end of each game. In fact, as I looked around me while chanting and screaming our lungs out for the team, it is that sheer believe and passion is what drives most of the Ultras to continue doing what we do and it is something that we would not want to lose. Hence I ask the question, how low can we fall? I think most of us agree it would be the day that the fans, who are in the end human, are silenced because we no longer believe. Please don't let that happen. "Selamanya Harimau Malaya, Selagi Kita Bernyawa".